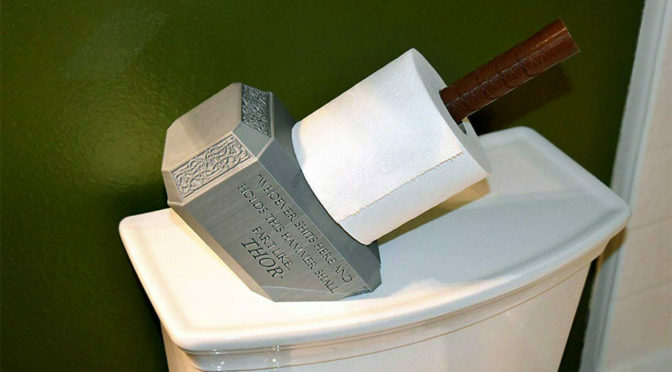 Who Would Have Thought The Mjolnir Is Good As A Toilet Paper Holder Too? When it comes to Thor’s mythical hammer, Mjolnir, there is nothing it can’t do. It can make Thor fly. It can pretty smash through everything and anything. 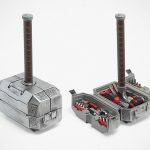 And for times when it does not need follow its worthy owner on his superhero quest, it tenderizes meat, doubles as a toolbox, charge your smartphone, and my favorite of all, as a headphone stand Now, as it turns out, the God of Thunder’s trusty magical hammer can serve as, wait for it… a toilet paper holder too. Like, who knew right? 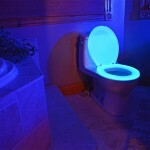 Absolutely wacky, but no less desirable. 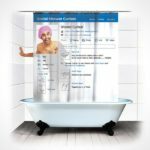 I am totally sold. It is made from “sturdy, heavy-duty materials.” Pretty sure it ain’t the Asgardian metal ‘uru’ here and I am quite positive that it ain’t forged by Dwarven blacksmiths in the heart of a dying star because, it is 3D printed here on Earth (hence, it could not be of any earthy metal either which it would be nice if it was). 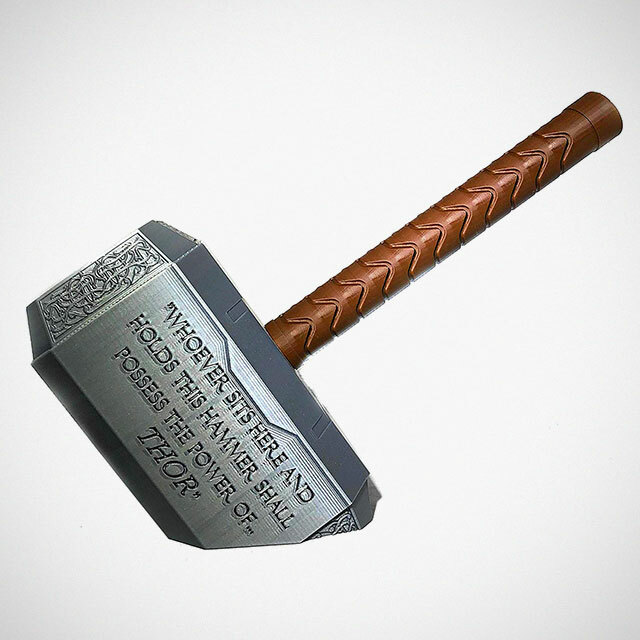 Anywho, this toiler paper holder version of Mjolnir features all the details that makes it identifiable as a Thor’s weapon of choice, including the intricate patterns on the tapered ends and even an inscription of a whimsical take of hammer’s message that says “Who Sits Here And Holds This Hammer Shall Possess The Power Of… THOR.” Wacky! Not sure why would anyone need the power of Thor when they are dropping their kids off the pool, but hey, if you can have the power of the God of Thunder when taking a dump, who is going to say no? Thor Mjolnir Toilet Paper Holder is a must-have for any Marvel fan. It makes for a good addition to any Avengers-themed decor. 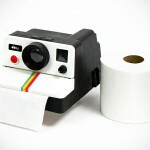 It is designed to be wall-mounted or use as a free-standing toiler paper holder. But seriously, looking how it is purposely designed with an extreme flat at the bottom, it will look more appropriate as a stand-alone holder. You can find Thor Mjolnir Toilet Paper Holder on Amazon going for $49.95.